What is a Data Network? 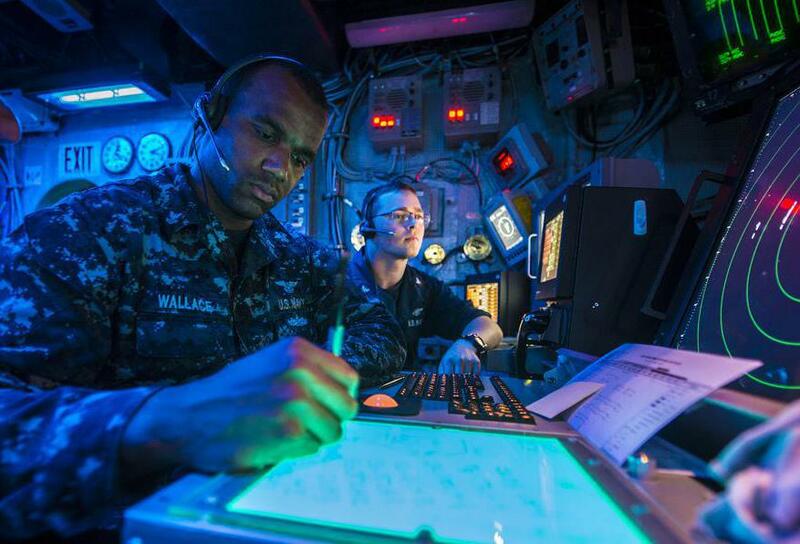 Military command and control systems, like those used on the bridges of naval vessels, are examples of private data networks. 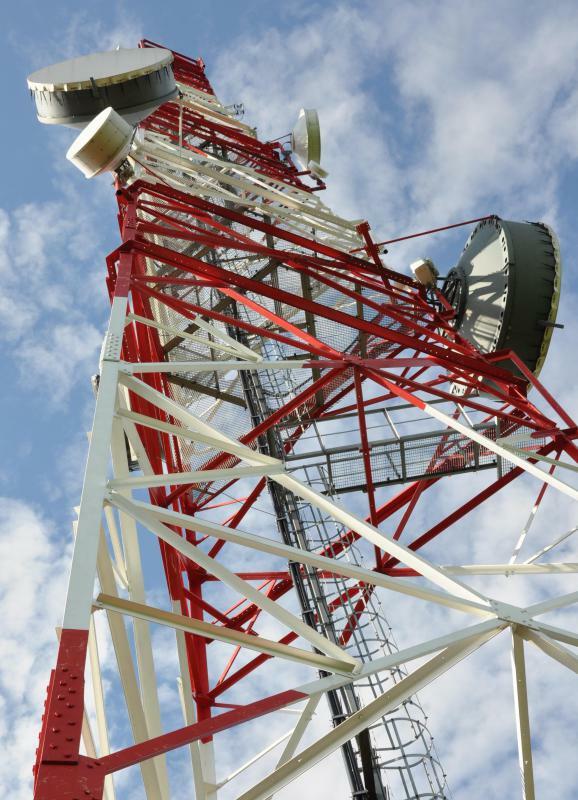 Public data networks can use cell towers to transmit data over broad distances. A data network is an electronic communications process that allows for the orderly transmission and reception of data, such as letters, spreadsheets, and other types of documents. What sets this type of network apart from other forms of communication, such as an audio network, is that it is configured to transmit data only. This is in contrast to the audio or voice network, which is often employed for both voice communications and the transmission of data, such as a facsimile transmission. There are two basic types of data networks in operation today. A private network is essentially a local network that is designed to allow for the transmission of data between the various departments within a given entity, such as a company. All locations of the company may be included as nodes on the network, and be able to communicate through a common server that functions as the repository for any and all data files that are used throughout the business. There are also examples of private networks that allow for data sharing between several companies that are part of the same profession or industry. Connections can be achieved through the creation of a virtual private network, or VPN, that resides on a master server, or by provisioning the connections through a communications carrier. In contrast to the private data network, a public network will be widely accessible to both residential and corporate clients of a given carrier network. The setup of this type of network may involve using multiple servers and connection to the network through several different processes. Often, the network will require some type of subscription process, such as a monthly usage fee. Upon receipt of the fee, the service provider will allow the creation of access credentials that will allow the consumer to access authorized portions of the network and engage in several functions commonly involved with data. These include the ability to retrieve stores documents, create backups of important data files, and archiving data such as historical information or other data that is understood to be valuable for future applications. What is a Communications Analyst? What is a Lossy Compression? What is a Network Monitor? @FernValley - I went to a university with a similar system. Now I teach at a private high school, and wish there was something similar in place for teachers and students. On a smaller scale like this, though, it is much harder to implement something like that. My college had an online data network with both public and private space. Each student had a private drive to save files, and people who were members of the same class, department, or work department could share files across a public network space. It made things just generally a lot easier for file sharing and saving.